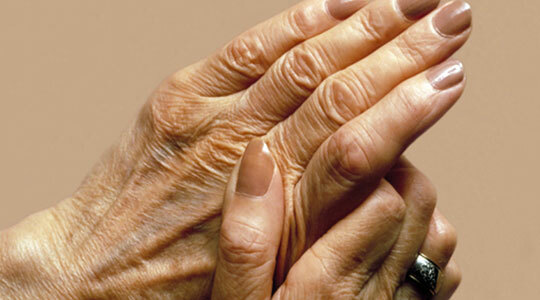 If you suffer from rheumatoid arthritis, also called RA, you know all about pain. It may be so bad that you can't work, and it may affect your organs. Rheumatoid arthritis is physical disability that strikes all types of people, but it's most common in middle-aged women. Unfortunately, that means piles of medical bills and no paychecks for many who haven't reached retirement age – causing even more stress and frustration. If you have serious RA and it prevents you from being able to work, you may qualify for Social Security disability (SSD) benefits. However, the Social Security Administration (SSA) is denying more initial claims than ever. Many of those denied actually should receive SSD benefits. You can appeal, but you have only 60 days to do so. At Edgar Snyder & Associates, we've spent decades dealing with the SSD system. We've helped thousands of people win appeals, and we can even help you apply for SSD benefits and submit the application for you. The Social Security Administration has a specific set of criteria it uses to determine whether a person is eligible for SSD benefits, so just because you have been diagnosed with RA doesn't mean you'll automatically qualify. Please note – If you haven't worked long enough, or recently enough, to have paid enough into the Social Security system, you may be eligible for Supplemental Security Income (SSI) instead. You can trust our law firm to guide you through the SSD claims process, give you peace of mind, and get you the SSD benefits you desperately need. Hiring an experienced attorney to fight for you could ultimately mean the difference between whether or not you receive benefits. If the SSA denied your application, or you want help applying for SSD benefits, contact our law firm today. We win the majority of claims we appeal for our clients. We will protect your rights and guide you through the complex Social Security disability claims process, answering your questions along the way – without the legal jargon. By choosing Edgar Snyder & Associates, you will know that you have done everything possible to be approved for SSD benefits. Worried about losing even more money by hiring a lawyer? At our law firm, we operate on what's called a contingency fee basis. If we don't get you approved for SSD benefits, you won't owe us a penny. There really is "never a fee unless we get money for you." You're already suffering enough with rheumatoid arthritis. If you're also suffering financially, trust Edgar Snyder & Associates to treat you with respect and get you the SSD benefits you need. We can help you apply, or if your claim was denied, represent you for your appeal. Remember, if your application was denied, you have only 60 days to file an appeal. We offer a free legal consultation with no strings attached. You're not obligated to use our services, so you have nothing to lose and everything to gain. Call 1-866-943-3427, or fill out our free legal consultation form. Phones answer 24/7 – call now.